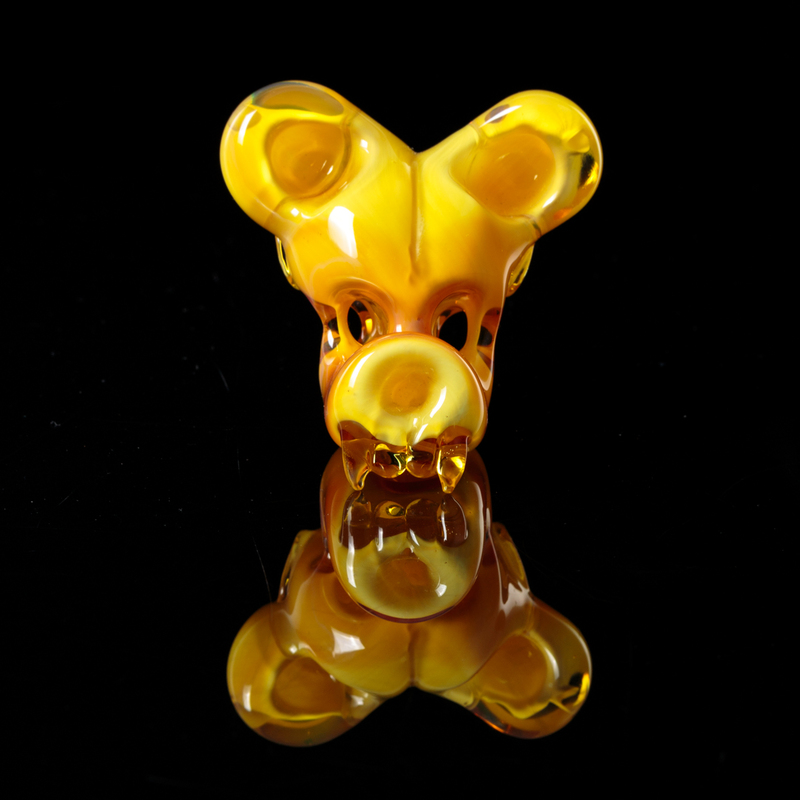 Micah Evans 2015 Toon Skull pendant. This pendant was created without the use of tools, and relied on the artist's ability to move the glass freehand. A real technical achievement in the understanding of the medium!